Nathillien had the most liked content! Welcome everyone to our M3e open beta tournament. It will take place on 4/14/19 in MetaGame club. Format - 50 Soul Stones 📋 The tournament will be held according to the rules of the third edition of Malifaux, pay attention to the important points: - Requirement for painting - 50% of models in the gang, designed models are not taken into account - Proxies are allowed for models that have not yet been released - Conversions must contain no more than 33% of parts of manufacturers other than Wyrd Miniatures - Players must carry with them printed maps of their models and upgrades. 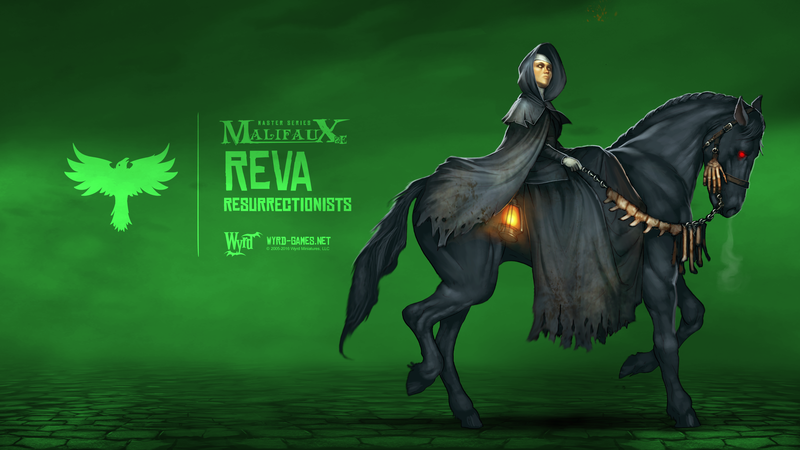 - Be sure to use official decks for Malifaux or custom decks with Malifaux suits - The player claims one faction for the tournament and can play only to her - Dead man’s hand allowed, but not with another master. You can't pick DMH master as 2nd or 3rd one. ONE and ONLY. 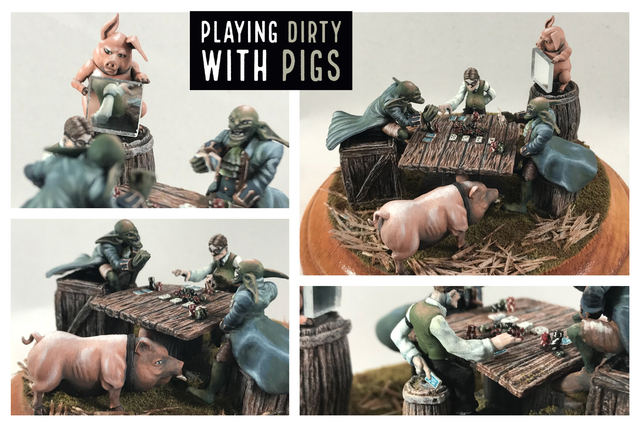 - The version of the rules and models laid out until April 12 inclusive is used. Edits after this date do not count for this tournament. 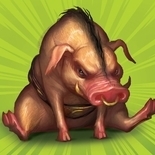 - Schemes and strategies are generated in advance, the definition of the attacker and the defender occurs immediately at the beginning of the game - It is necessary to have markers for schemes, strategies or special abilities of characters. - Round time 2 hours 30 minutes. At the end of time with an unfinished game, players can agree on the results in the presence of the referee. In the absence of agreement among the players, the final decision remains at the discretion of the organizers. - In the case of an odd number of players, the proxy player is the judge - In case of violations of the rules of the event, the organizers may apply fines to the participants, or even exclude them from participation (in the case of malicious and intentional disregard of the rules). During the tournament, all players will receive printouts of new strategies and schemes. 🥇 Prizes - standard prize set from Wyrd: - 1st place - big boxing mystery, gilder nominal 3 - 2nd place - small mystery boxing, gilder - 3rd place - small mystery boxing, gilder An additional prize from the organizer will be drawn randomly ⚡ Schedule: - Registration starts at 11:00 - First round - 11: 30-14: 00 - Second round - 14: 30-17: 00 - The third round - 17: 15-19: 45 Strategy and Schemes randomly generate before tours. Miss Jessica Daw? - some crazy hanged lady sculpt Alt Seamus (female version) - lady maniac? Why not! No. Way. The New focus is just too bad and will ruin tonns of bands and mechanics. Stunned will be useless. Only new Injury could work, but still need to be tested. Please guys, don't say " OMG I LOVE ALL THE CHANGES" if you did not play a single game of M3e. We are here to work together for a better game, not to praise the makers. Yes, she is mimic and can look like anyone else. I decided to play around the meaning of something intended to make you believe, that it's true, when it is actually not. Some trick, disguise, illusion. Doppelganger from Malifaux hit it perfectly. Then I had to find Malifaux model, which have almost the same pose, swap it hands ect. The hardest thing was to copy Doppel box art by freehand, and make realistic web around the room. Sometimes, only smoke in the magical mirror can reveal the true nature of things... Here is my work for the last round. 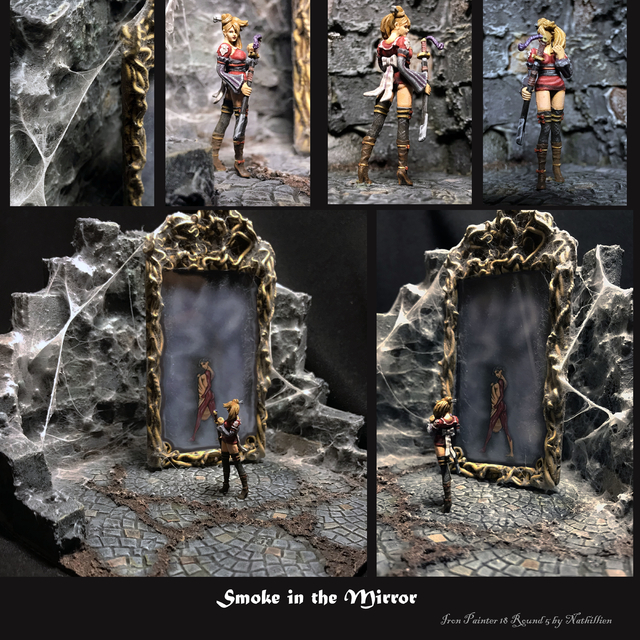 Malifaux "hero" shows her true nature in front of the magical mirror. Who knows, how many people were tricked by this doppelganger? Had only 2 nights to assemble and paint my work, and got some technical error while uploading, so added my pic 15 mins after the timer ended. Hopefully it still counts in? Wow, how you made this poker chips?